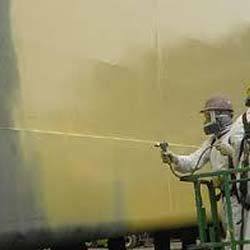 As per the variegated requirement of our clients, we are engaged in providing Surface-Tolerant Coating Services. We have a diligent team of professionals having vast expertise in their respective domain, which results in providing best possible services to our clients. Being a noted business enterprise, we are readily involved in the arena of delivering to our patrons immensely acknowledged services for Surface Coatings Service. Provided service are delivered by a team of skillful personnel as per pre-defined industry standards and values. Additionally, we offer this service at reasonable costs to our patrons. Gujarat Elastomers and Polymer Technologies Ltd. (GEPTL) has been a reliable supplier of Hard Surface coated rolls to various industries including Textile and Woven Sacks industry. With increased capabilities, GEPTL has now extended these services to other Industries such as Paper, Sugar, Cement, Drilling, Steel etc. At most reasonable rates, we are providing (service) to our patrons. 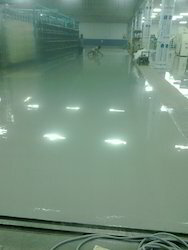 We have expertise in KTL Coating services. Duration: AM EXCLUSIVE SOLUTION COAT retains it's physical integrity even after hundreds of cycles. We are amongst the renowned organizations in this business and are engaged in providing Wooden Surface Coating Service to our clients. These Wooden Surface Coating Services are rendered utilizing latest tools and techniques. Besides, we render these services in best possible manner at reasonable prices. Metal Surface Coating Service is provided by us and executed by our hard working professionals. Ensuring a definite quality essential system, our firm has been occupied in providing service through a top class task management in the form of Surface Coating Service. Accessible with us in many altered varieties, these are broadly commended.